While in Copenhagen, I was lucky enough to get invited to a beer tasting of rare US and Canadian brews. This was kindly hosted by Alex, a world resident who resides in Malmö but travels both for business and pleasure. Other guests included the top Danish raters on ratebeer. I have promised not to reveal any details about the session, but the beer was splendid, the food was exquisite and the company was lively. 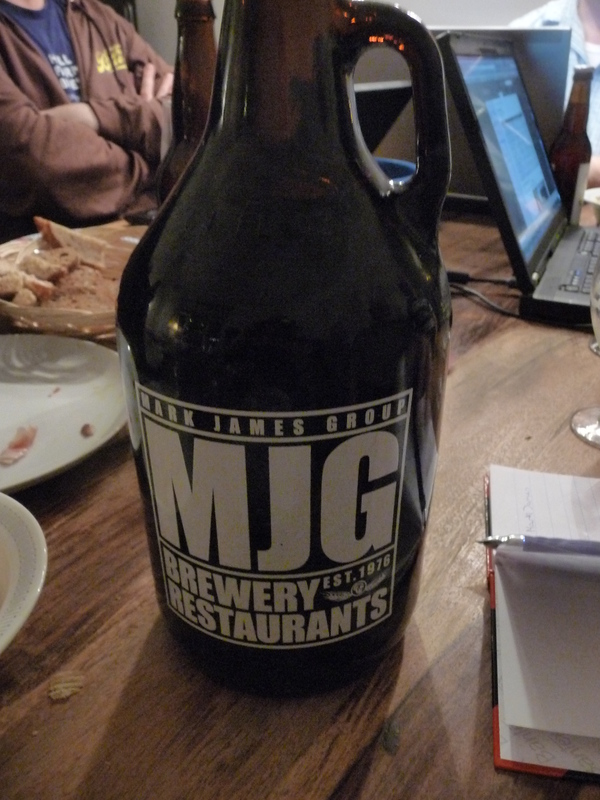 What impressed me most, however, was this growler. Dragging this across the Atlantic is true dedication!